Oyster is used as a common name for a number of groups of Bivalve Molluscs which live in marine habitats. Some of them are commonly consumed in cooking. Oyster soup is a tradition supper for special days and events like Christmas or Eid. It is quick, easy and elegant, when served with oyster crackers and a nice rich dessert. First of all you need to put chopped carrot, onion, celery and fresh mushrooms in a large pot. Then sauté these chopped items in 2 tablespoons of butter. Let them cook for almost five minutes. You need to fry these ingredients before onions turn brown. While the above chopped items fry, put ½ cup of butter in another large pot. Then stir it in the flour. Let them cook for five minutes as well. Next you need to add chicken broth into the flour mixture. Then add the fried chopped-vegetables (carrot, onion, celery and mushrooms) into this mixture. Also add bay leaf, salt, cayenne pepper, thyme, oregano and sage into the flour mixture. After mixing these ingredients, cook them for almost half an hour. Remember only to simmer them and not boil. Fluff up your soup with cream and gently warm it. Remember to gently warm it with medium heat. Then serve your soup with crackers. 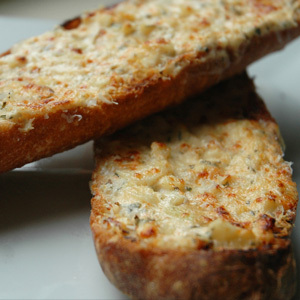 Take your oyster soup with caramelized garlic onion bread to enhance your food experience.